KWD 53.42 including 12 KWD shipping. 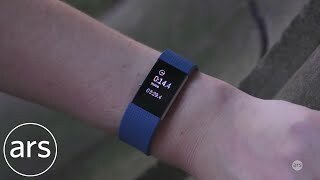 Fitbit is quite popular when it comes to fitness focused gadgets and the company is all set to release not one but two new wearables. 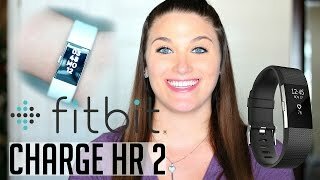 The FitBit Charge HR was one of the bestselling fitness gadget from Fitbit and now we have the Fitbit Charge 2 which costs the same compared to its predecessor but offers slightly more. 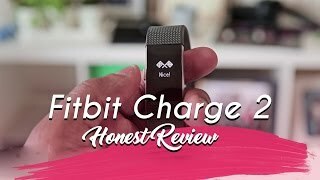 To learn about this wearable including the Fitbit Charge 2 Kuwait price and specs, keep reading. One of the major changes in the Fitbit Charge 2 compared to the first Fitbit Charge is its display which is almost five times bigger. It looks quite similar to Fitbit Alta and features more appealing stainless steel body design than earlier which gives this device a premium-ish look. On the other side of the display, there is the PurePulse heart rate monitor and clips that can be used for changing the straps. It will be available in multiple colors including silver and plum. All the features we got on the Fitbit Charge HR is included in this one as well with some extra features. Other than the heart rate monitor we mentioned earlier, it’s able to measure distance, steps, calories burned, climbing and active minutes. Users can get map and route data using your phone’s GPS and and will be able to recognize activities like yoga by itself. The battery life is also going to be the same which means it should last for about 5 days. However it’s not waterproof. If you are looking for a waterproof fitness tracker and not interested to wait for the Fitbit Charge 2 release date Kuwait, there is the Garmin Fenix 3 and Garmin Vivoactive HR. 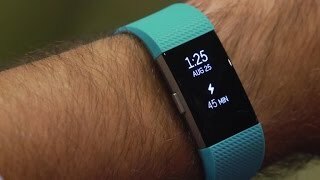 The Fitbit Charge 2 will be available for about 0 KWD just like its predecessor. It’s already available which means you don’t have to wait for too long for the Fitbit Charge 2 release date Kuwait. The sport band charge 2 blue grey rose gold small Armbands & Wristband is manufactured by Fitbit and was added around December 2018. This version of the Armbands & Wristband comes in Color : Blue. 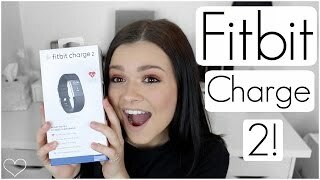 Fitbit Charge 3 Review (vs Charge 2 HR) - Best Fitness Tracker 2019?! Price has decreased 24% from KWD 66 on 2018-12-19 to KWD 50 today.